The public is able to follow the activities in Atlanta and other stops throughout the tour on social media, where Giving Comfort will be sharing photos and experiences, as well as tracking the miles and messages collected, through tools like Facebook, Twitter, Instagram and Tumblr. Each message submitted will bring Giving Comfort one step closer to their goal of 1.6 million messages – a number equivalent to the number of people newly diagnosed each year with cancer in the U.S. 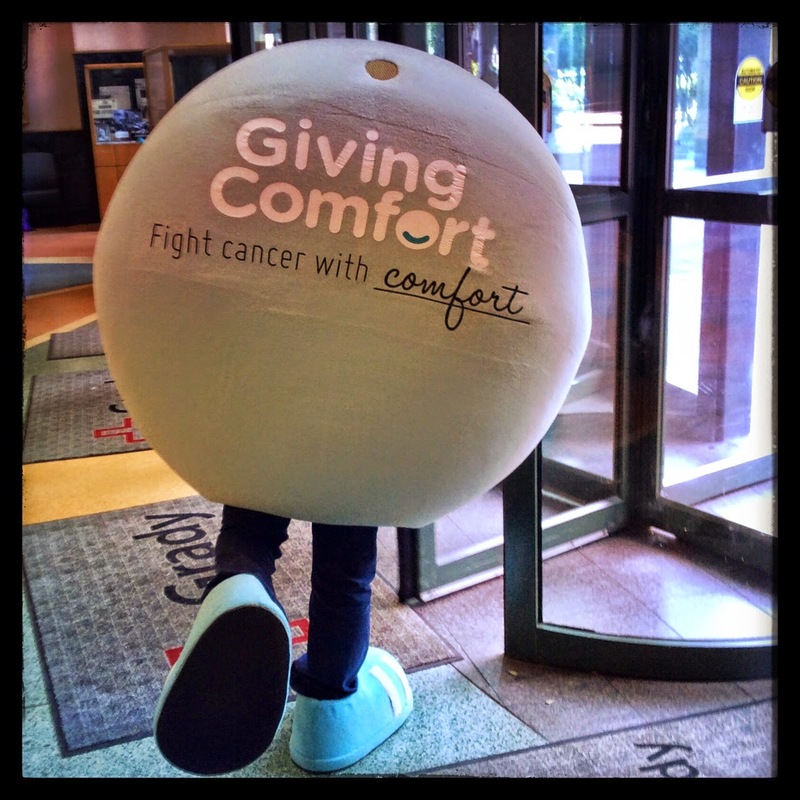 In addition to the Words of Comfort initiative, Giving Comfort distributes Comfort Kits, care packages for cancer patients of all ages that are filled with the most requested comfort items – ranging from warm, fuzzy socks to tea and stuffed animals – to ease discomfort during chemotherapy treatment. 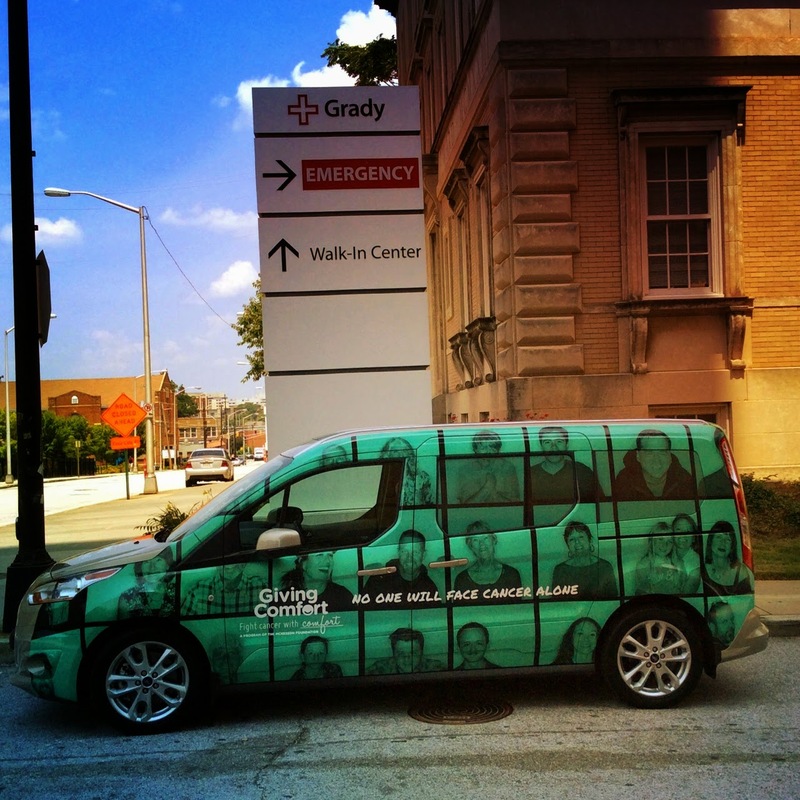 The Grady Health Foundation is part of Giving Comfort’s Distribution Network, which delivers the Comfort Kits into the hands of patients across the country on an ongoing basis. 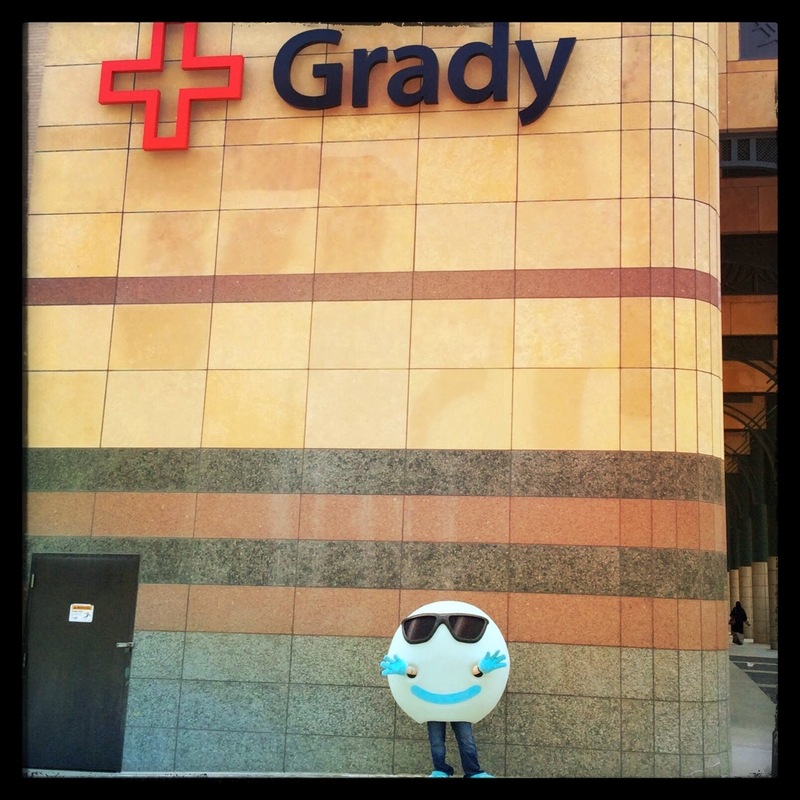 To coincide with the launch of the Words of Comfort bus tour and in the stops in Atlanta, Giving Comfort is also kicking off its Comfort Corps program – a community of supporters, or “Ambassadors,” working toward the common goal of providing comfort to cancer patients in need through volunteer and fundraising activities that also spread the word about Giving Comfort. 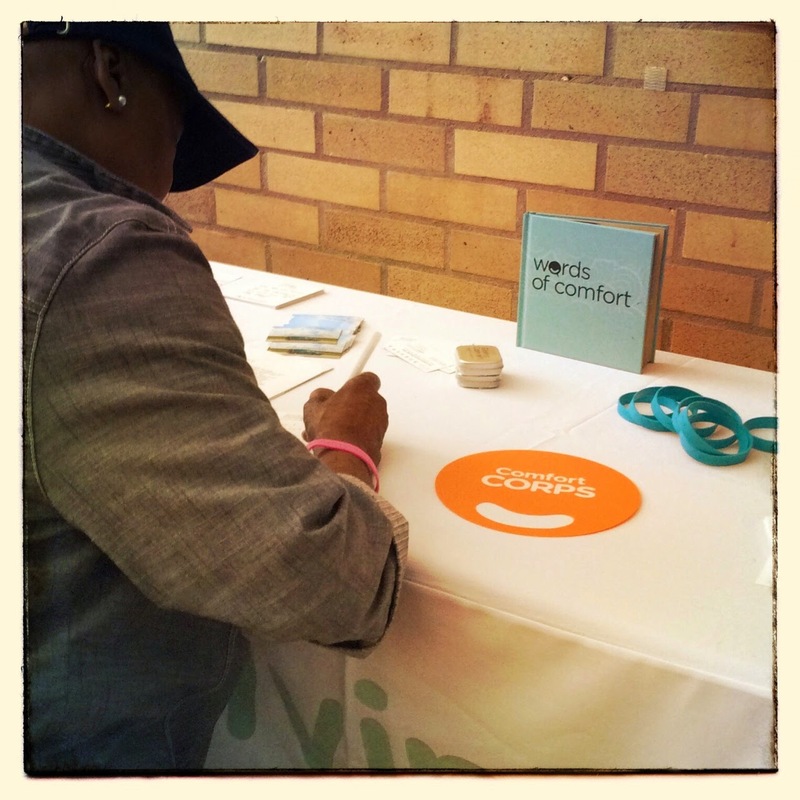 People will have the opportunity to register to become a Comfort Corps Ambassador and help fight cancer with comfort in the local community. Across the country, ambassadors have already done a wide range of activities to raise awareness, such as “Dine and Donate” events, garage sales and making cards with comforting messages to send to patients. Nearly one quarter of people with cancer will exhaust all savings as a result of treatment costs, even with insurance and 11% of cancer patients cannot afford food & basic necessities due to treatment costs. It’s during these times that comfort items and inspiring words can have the most enduring impacts. This year, more than 1.6 million people in the U.S. will be diagnosed with cancer. Hundreds of thousands struggle to pay for basic needs, leaving them unable to afford the comfort items that make treatment more bearable. 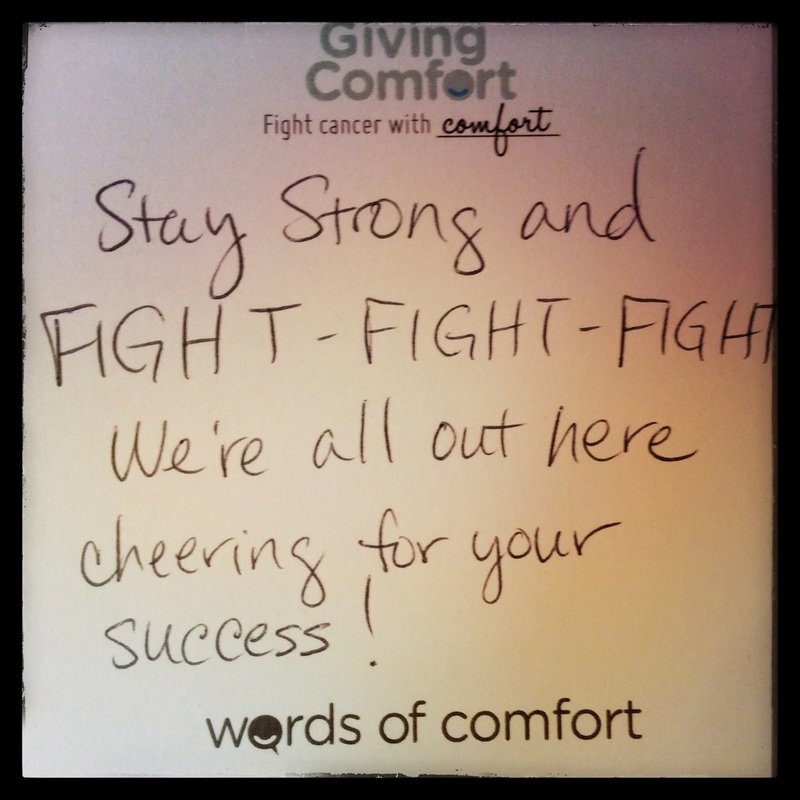 A nonprofit program of the McKesson Foundation, Giving Comfort fights cancer with comfort. It provides patients with Comfort Kits – cancer care packages filled with essential items that help ease the discomfort caused by treatment. 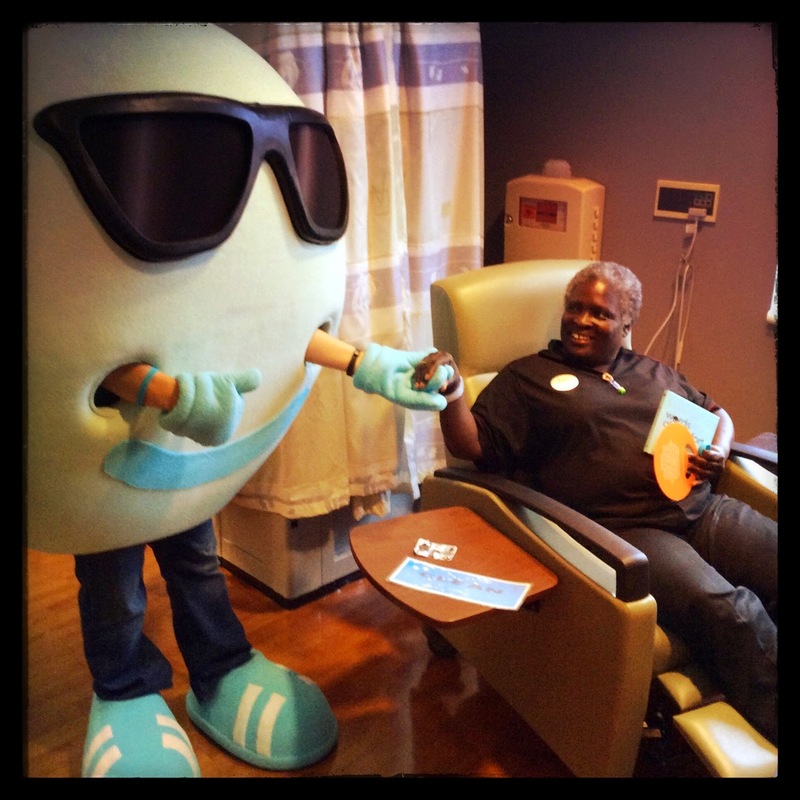 Patients in need receive Comfort Kits free-of-charge through a network of Distribution Network Partners, which include hospitals, cancer treatment centers and hospitality houses. Through its e-store, Giving Comfort offers Comfort Kits for sale, with all proceeds going toward Kits for those in need. To learn more, visit www.givingcomfort.org. Photos by Giving Comfort via Tumblr.